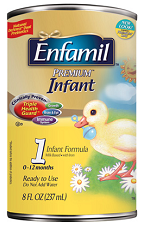 Print a $5/1 Enfamil Formula coupon. Some Walmart stores have 8-oz. cans of formula for $4.77 to $5, making them free after this coupon. Previous postCoupon Tip!!!!!!! Head’s up!